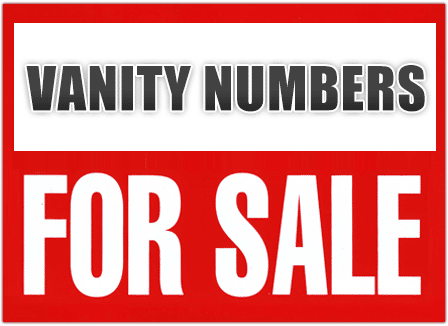 Here at UniTel Voice, we sell vanity phone numbers on the cheap that will give your business an edge. You can search our phone numbers for sale by word, phrase, or numeric combinations. Once you find the specific phone number you want for your business you can instantly purchase it for as low as $15 and set it up to ring to any phone, extension, greeting, voicemail, or existing telephone line. Most importantly, you’re not renting your business phone number. With UniTel Voice, any phone number you purchase, you own outright and can transfer to another provider at any time. No leases. No cancelation fees. No porting fees. No strings. No games. You bought the number, you own it. 1. Decide if you want to purchase a local or toll free vanity phone number. Choosing a local number versus a toll free number goes beyond the question of whether or not you want to give your business a local presence or a nationwide presence. If you chose a local phone number you might have difficulty if you decided to sell your business, expand to another city or state, or start to sell your products and services online. Since the 1960s, 1-800 numbers have been recognized as the phone numbers business use. Today it’s less important that your business number is toll free (i.e., free to call) but still using a toll free phone number gives your business the flexibility and the credibility to expand your business beyond your local area code. Note: Local vanity numbers are true vanity 800 numbers are harder to get than other numbers for a few reasons. Local vanity numbers are hard to get it because unlike toll free numbers, local numbers are not housed in a central national database. Instead, they are distributed to North American phone companies in batches. Toll free numbers, however, are housed in one centralized national toll free number directory (managed by the FCC sanctioned organization called: Somos) and because all available toll free numbers are all in one database, phone companies can build search tools that allow customers to search for vanity numbers right from their check out page – like UniTel Voice does. The reason vanity 800 numbers are hard to find is simple. They have been around since the 1960s. So almost all the good ones have already been snapped up by companies. You’ll have the most look with newer toll free numbers like 855, 844 and 833 numbers because there are more available in the spear pool of numbers. 2. Buy a specific phone for your business that represents your brand or value proposition. When shopping for a vanity number keep two things in mind: your brand name and your value proposition. One, a good vanity phone number either relates to your business’s brand name or your industry value position. A brand name vanity number is straightforward. It’s a number that relates to your business’s name or brand. An example would be 1-800-XFINITY or 1-800-GOFEDEX. An industry value proposition vanity phone number requires you to get a little creative. For example, if you’re a roofing company your number could be 1-888-FIXROOF, or if say you’re a mortgage broker 1-833-EZLOANS would be a great fit. The trick is to make a list of keywords and phrases related to your company’s brand and value before you go looking for vanity phone numbers for sale. 3. Buy a phone number for your business, don’t rent one. It’s hard to find a good vanity telephone number especially one that is a true 1-800 number. One of the main reasons is there are marketing companies out there whose whole business model is buying 1-800 vanity numbers and renting them out to businesses for local use. For example, these marketing companies might rent the number 1-800-DUIHELP to a law firm in Chicago and to a completely different law firm in LA. When Chicago-based people call the number they reach the Chicago firm, while LA-based callers reach the LA-based law office. The downside of renting a vanity number is that it’s expensive and more importantly, you don’t own the number. At any time, the marketing company could raise your rates or worse, take your business’s phone number that you have spent time and money promoting and sell it to your competitor down the street. It’s smarter to purchase the number outright so you own it. And that’s exactly how it works with UniTel Voice. When you buy a phone number from UniTel Voice you own the number with no strings attached. This means if you ever decided to cancel your service with UniTel Voice you can take your number with you by transferring it to another toll free service provider. 4. Make sure you buy the right phone number service with the right features. Not all business phone service providers work the same. Sometimes you get too many bells and whistles and other times you don’t get the right features you need to run your business. UniTel Voice is designed to make setting up a new toll free number fast and easy. You can forward it to your existing phones or phone system. And if you need phone system features like an auto attendant with greetings, extensions, voicemail, or even faxing capabilities – with UniTel Voice those features are built into your phone number service. You can simply turn them on or off. For businesses of all sizes, choosing the right phone service can be a confusing endeavor. To help you understand the different kinds of services out there, we’ve created a to buyer desition guides we hope will help you make a better decision: The Complete Guide to Getting a Toll free Number and The Complete Guide to Virtual Phone Systems. 5. Consider buying multiple phone numbers for tracking advertising ROI. Having one main phone number for your business is a smart move from a branding and SEO standpoint. However, it makes sense to buy more than one phone number for your business if you are advertising in multiple places like radio, print, online etc., so you can assign a unique phone number to each channel and better track your adverting ROI. UniTel Voice allows you to add additional phone numbers to your account so you can use them to track incoming calls on each number. The calls that get the most traffic give you a better understanding of which advertising campaign is giving you a better return on investment. You can buy a local or toll free vanity number and use them on for every different ad. Calls are tracked in real time and you can access the reports in your call logs.